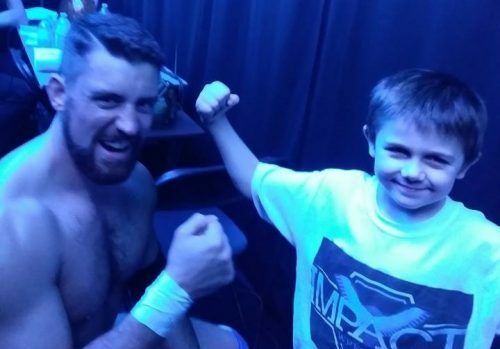 At Impact Wrestling’s recent TV tapings in Toronto on August 12th, a brave, young man named Steven Spice accompanied Scottish star Joe Hendry to the ring. He’d be standing faithfully behind ‘The Prestigious One’, as he battled Tyson Dux that night. Except, Steven wasn’t a manager. He wasn’t an advocate, or even a trainer. And, he certainly wasn’t a bodyguard. Steven Spice is seven years old, and he is, quite simply, a survivor. Steven was born with a rare condition known as chiari malformation. 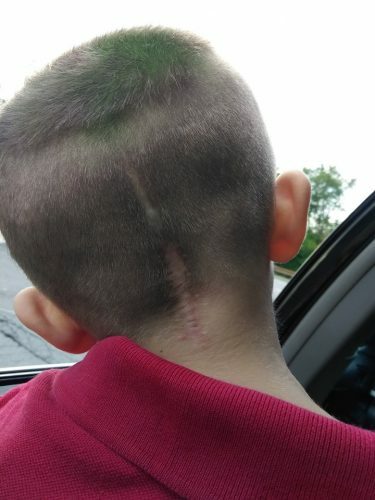 He was five when the original diagnosis was made, and he eventually had major, decompression surgery to repair the base of his skull on November 29, 2016. Shortly after, he required another procedure to have his tonsils and adenoids removed, then an emergency scope in August of 2017. Since then, Steven Spice has had to endure 3 CT Scans and 10 sets of X-Rays, and now, he goes for regular MRI visits every three months. According to the Mayo Clinic, chiari malformation is when brain tissue extends into the spinal canal. It occurs when part of your skull is abnormally small or misshapen, pressing on your brain and forcing it downward. Steven’s skull had formed abnormally in the womb, but had gone undetected during routine examinations. The shoulder pain continued to worsen, despite reassurances that it would eventually heal itself. Eventually, Steven was tested for leukemia and given a full body MRI. Still, the doctors found nothing. Then, one day, the family got some news that would change all their lives forever. 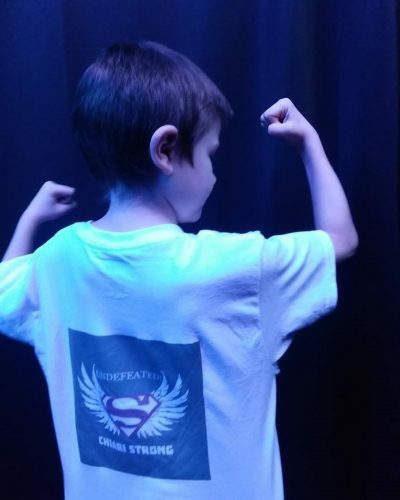 Crystal was floored when Steven’s doctors revealed to her that his condition was so extreme, they were actually surprised her son hadn’t already suffered a massive stroke or a spinal rupture in his young life. His shoulder pain was being caused by a blister on his spine, called a syrinx, that was putting pressure on his nerves and sending shockwaves through his little body. In essence, the muscles in his upper body were dying, and he was scheduled for that first surgery just a week later. Since his original diagnosis, Steven hasn’t been able to do many of the things that other kids get to do. Like play. Today, he has to be constantly protected when he is partaking in any activities, and can’t do anything that might put him in any physical danger. Sports, for example, are out, for fear that an accidental blow to his skull could be potentially fatal. It can be a dark, desolate life for a child — The life of a patient. 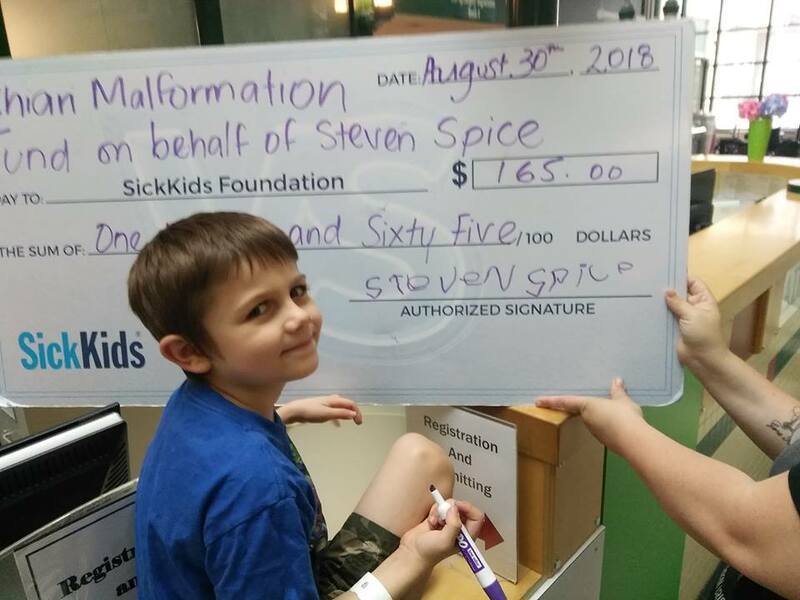 While other kids are choosing sides on the playground, Steven Spice is in physical therapy, looking out of a hospital window, or being whisked off to yet another follow-up appointment. During one of his countless times spent in recovery, Steven discovered professional wrestling, and quickly become a loyal fan. It gave him an outlet, even when he couldn’t do the same aggressive things that his heroes were doing. As his passion grew, his family looked for a way that he could safely get a closer look at the action. They initially reached out to the Make-A-Wish foundation but were turned down; Steven’s condition wasn’t considered ‘terminal’ by their standards. Undaunted. they contacted Impact Wrestling executive Scott D’Amore through a mutual friend, Aaron Weiss, who shared Steven’s story. It worked, and D’Amore put the family in touch with the company’s media director, Ross Forman, who took things from there. After having yet another surgery on June 19th, Steven would have the opportunity to attend an Impact event just two months later. Provided, he was going to be strong enough to make it to the show. And while he was there, Forman had arranged for him to accompany one of Impact’s stars to the ring. 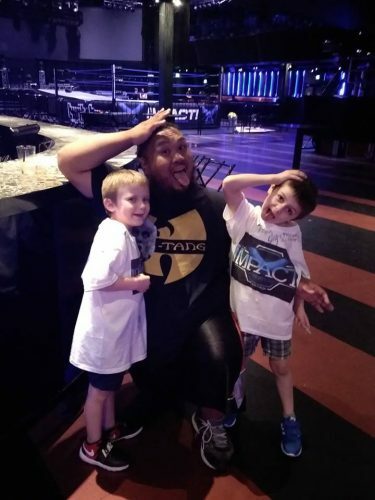 As he waited for his moment, Steven was quickly adopted by the backstage members of Impact, bonding with Hendry, Dux, Tessa Blanchard, and several other performers. When his time in the ring came, Dux played his part as the heel, and eventually did the job for the youngster. The crowd went wild. Referee Kris Levin was the official in the ring when Steven made his Impact Wrestling debut. He said that being a part of the action had a deep effect on him, personally. Since that night, several of the performers in the company have kept in touch with Steven, and sent messages of encouragement, most notably Hendry, Dux and Blanchard. So much so, that he often refers to them as ‘Uncle Joe’. ‘Uncle Tyson, and ‘Aunt Tessa’. For Steven and his family, their night in the spotlight was a wonderful reprieve from the normal pressures that they’re under. Steven’s night with the performers of Impact was an illustration not of weaknesses, but of power. Not only the power of the wrestling industry to reach out to its fans, but about the strength of a family. And about the strength of one boy. For at least one night, Steven Spice was the most powerful person in the wrestling world. His appearance before the crowd, and in the locker room, made its own kind of ‘impact’… One that is much bigger than his disease.